Available from Searsons Wine Merchants, Monkstown. This is a young wine with real concentration and length; never too big or alcoholic, but full-bodied with masses of dark fruits and liquorice. Worth every penny. Côtes du Rhône comes in all shapes and sizes; this vast area produces huge quantities of inexpensive glugging wine at very cheap prices. The more ambitious producers aim to make far better wines with real character, and charge a little more. Some offer great value. 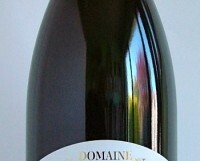 Domaine St. Gayan, with vineyards in the posher areas of Rasteau, Sablet and Châteauneuf-du-Pape, is one such producer.